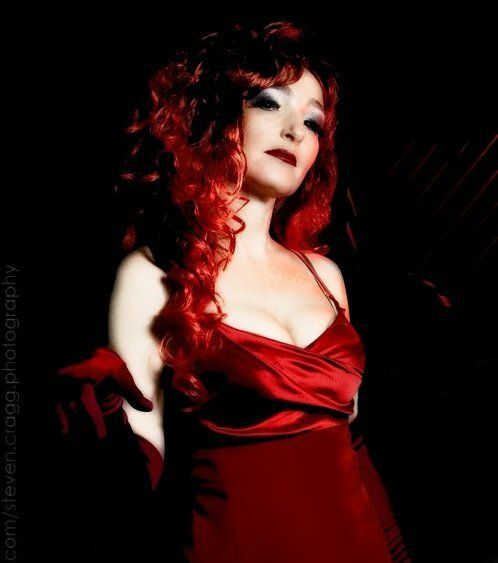 Sam is a vocalist who has created a fantastic Jessica Rabbit show. Jessica Rabbit, the famous character from Roger Rabbit plays and flirts with the audience in a joyful way while she sings well-known jazz and cabaret songs. This show can be accompanied by a pianist, band or backing tracks. This is a really fun show, and Jessica Rabbit knows exactly how to entice the audience! This is great for corporate events, private parties and cabaret clubs. Jessica Rabbit can perform sets from 1 x 20 up to 2 x 45 minutes. If the show is in a small venue for less than 80 people Sam can provide her own sound-system. She can also provide a headset mic.